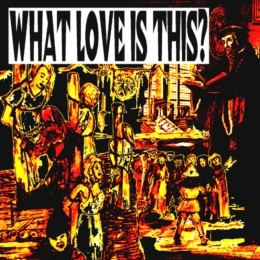 Center for Research on Christianity: "WHAT LOVE IS THIS?" WWW, October 2008 - Killings, Torture, Political Dictatorship: all in the Name of Jesus Christ. Welcome to the "love" of John Calvin's Christianity, which shapes the doctrines and philosophy of many of today's Evangelical Christians, including Rick Warren. Dave Hunt is a well-known Bible teacher based in the USA. He is known for his in-depth analyses of trends and movements in especially the Evangelical part of what "Christianity". With books like "The Seduction Of Christianity", he exposed the New Age nature of many popular "prophets" and "healers". However, it's not just those more or less recent trends within Christianity that may find themselves into the attention of Dave Hunt. Under the title "A Woman Rides The Beast", he exposed the system of the Roman Catholic Church for what she really is, too. In "What Love Is This", Dave Hunt exposes another part of Christianity, which came into existence in Western Europe a couple of centuries ago. It's widely known as "The Reformation": the birth of the Protestant Churches in Europe. The Reformation Movement included people like Martin Luther and also a man called John Calvin, the founder of what we now know under the name "Calvinism". He wrote a number of books, in which he created a whole philosophy around what he perceived the Message of the Divine Saviour to be. He also became the mayor of Geneva (Switzerland) where he would practice the kind of politics that even the Taliban of today are not accused of. In this lecture, Dave Hunt sheds light on various aspects of Calvinism. He shows without the shadow of a doubt, that Calvin's ideas have nothing to do with the God Who reveals Himself in the original Bible. There is no love whatsoever to be found in the Message that the God of John Calvin has, as can be seen in the practical work-out of Calvinism. John Calvin would torture people who disagreed with him. A child who had a bad mouth against his parents would be beheaded, for example. People who refused to accept child baptism were drowned, others were burned alive. In England, followers of the religious dictator and false prophet turned the whole country into an even more extreme version of Calvin's Geneva. Everybody who would disagree with John Calvin's sick doctrines, would be tortured and killed. In fact, the whole "Reformation" was nothing more than... a reformation. A system was updated, rather than abolished. Babylon wasn't left, Babylon was... updated. The Roman Catholic Church is known for it's brutal persecution of "heretics". The stories of the Crusades and the Inquisition can be considered standard knowledge, but the fact that the so-called "Reformers" continued the practice of religious dictatorship is rather ignored by many who called themselves Protestant or Evangelical Christians today. In fact, Dave Hunt shows that the two predominant names of the Reformation, Martin Luther and John Calvin, were Roman Catholics who actually took their ideas from Augustine, a "church father" who basically is the founder of Roman Catholicism. Luther, for example, was an Augustinian Monk. The "Reformers" didn't step out of the Babylon that is the Roman Catholic Church System, but they rather, as the word says, "reformed" it. With the result, that those people who practiced adult baptism rather than child baptism would be persecuted, tortured and killed. Fast forward to today. Contemporary followers of John Calvin's reli-fascism may not have the political power they used to have anymore, but if they would, the Taliban would be considered a human rights group compared to them. We know them under various names, one of which is "dominionists". Rick Warren and his Purpose Driven Madness, for example, can also be seen as a political Calvinist since he strives to create "world peace" under the rule of his "Purpose Driven Christianity". In Calvin's philosophy, "Christians" are a superior kind of being and destined to take over the whole world so that Jesus Christ can safely return, as if the Lord God and Saviour is a helpless individual. They will impose by law what the Bible says is the Work of the Holy Spirit within people, creating not only an evil caricature (Dave Hunt calls it a "misrepresentation") of God, but de facto creating an environment wherein Satan's Antichrist feels very much at home. Listen to Dave Hunt, as he simply asks himself, and his audience: "What Love Is This?"